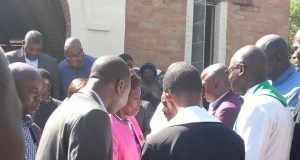 Home / Presbyteries / Zambians called to Celebrate 50 Years of neither Jew nor Greek, Slave nor Free, Male nor Female, but all one in Christ Jesus. 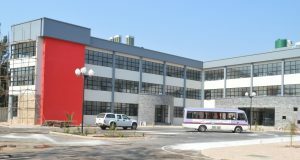 MWINILUNGA: : About350 UCZ members assembled at Mwinilunga’s Finance Bank around 08:30 hours on Sunday 29th June 2014 to celebrate the countdown Golden Jubilee celebrations under the theme “Celebrating 50 years of the Gospel and Unity”. The District Commissioner graced the celebration as the Guest of honour. Also in attendance were the District Commissioner for Ikelenge district, the Mwinilunga Council Secretary, The District Medical Officer, the Head teacher for Mwinilunga High School, the District Intelligence Officer for Ikelenge district, the District PF Chairperson and ZANIS Officer in charge. The celebration match past which started from Finance Bank to the UCZ Church was flagged off by the District Commissioner- the Guest of Honour at exactly 09:05 hrs after a prayer from Rev Roy Kanchele – the Minister – in – Charge. The Boys Brigade Brass Band led the procession followed by Girls Brigade, WCF, Ark Choir, Mwinilunga Trades Choir, St Stephens Choir and Mwinilunga High School pupils. Upon arrival at Church the Rev Kanchele and the District Commissioner entered the church carrying the banner. The Church service was led by elder Mwalusi with the hymn entitled Dear Saviour; Thou art mine, hymn number 225 in the Lunda hymn book. The sermon was delivered by Rev Roy Kanchele based on Galatians 3:19-29 and John17:17-21under the theme “all one in Christ”. Thecentral thrust of the homily was that there is neither Jew nor Greek, slave nor free, male nor female, for all are one in Christ Jesus. The history of the UCZ was presented in two parts General and local. Elder Yamboto gave the history of UCZ in general in which he argued that it was important to know the history of the church because history tells us where we come from, where we are and where we are going. He further contended that as history gives direction, it also promotes peace and unity in the church, hence determining its future as well. The guest of honour thanked the United church for recognizing and inviting the office of the District Commissioner to come and grace the celebrations. She further said that UCZ had always been a partner with the government of the day in issues of national development. She thanked the church for maintaining peace and unity for almost 50 years now. The Girls and Boys Brigade reciting poems and memory verses. After the guest of honour’s speech, the Minister led the entire church into undertaking of the Golden Jubilee Pledge of Unity. 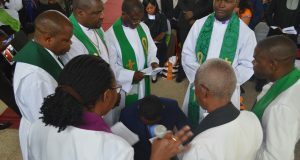 The service concluded with presentation of Golden jubilee cakes to the Guest of honour- the Mwinilunga District commisioner, the District Commissioner for Ikelenge, and the Minister – in – Charge. 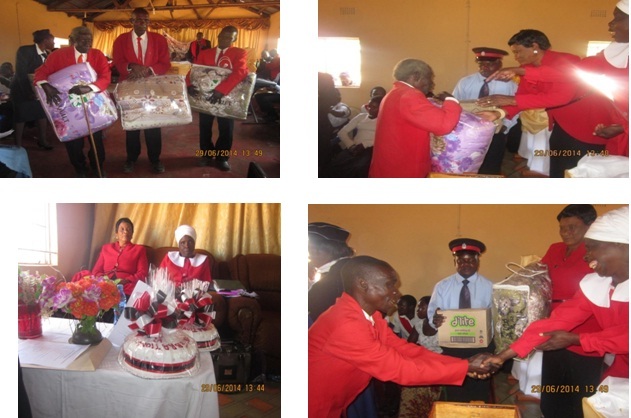 Three senior members of the church were also recognised for long service and were also presented with gifts, these were: Mr Emanuel Nambwe, Mr Kazadi Francisco and Evangelist Muselepete who saw the birth of the UCZ in Mwinilunga(gifts included (Duvets, sugar, cooking oil, salt and soap).